Are Seat Covers Worth It? This is one of the many questions you’re probably asking yourself and it is a big one. It is also an important one to answer because it really depends on what type of seat covers you’re thinking of buying. 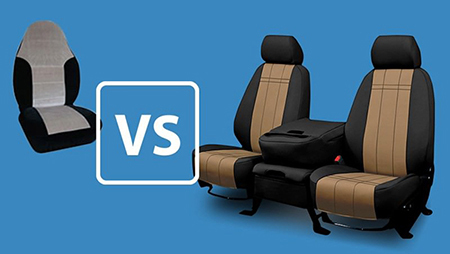 Not all seat covers are made the same, nor are they going to fit the same – especially when comparing universal to custom. The main value and purpose of seat covers is to protect your seats. But you want to make sure you’re ordering a quality product that is actually going to do this. When ordering custom or universal seat covers, there are a couple factors you should be considering before deciding. Do All Seat Covers Fit All Cars? Universals are made to fit as many vehicles as possible. If you consider the thousands of cars out there, having a seat cover that actually fits all of these vehicles seems almost impossible. The fact is, it is near impossible. That’s why in most cases, universal seat covers don’t have an overall great fit which defeats the main purpose of protecting your seats because your original upholstery may still be exposed. Furthermore, universal seat covers are starting to fit fewer and fewer vehicles. As cars and trucks get redesigned, the shape of seats varies from standard sizes that work with the “one size fits all” covers bought off the shelf at big box stores or online from massive e-commerce websites. Non-standard seats require a custom product. On these big e-commerce websites, the general consensus is that universals fit for the price you pay. However, not all big box store seat covers have the best ratings. Many customer reviewers give them 1 or 2 star ratings because they flat out don’t fit or won’t stay on the seats. It’s a bit of a guessing game: will your vehicle be one of the lucky ones that the universal cover fits well? When it’s not, there’s not much you can do. You can either send them back, try to keep them on with your own makeshift strapping system, or call it a day. One thing that you can be sure of is that in all of these cases, even the best universal fit seat covers are not going to conform to your seats as well as something that is made specifically for your vehicle. With custom seat covers, a fit guarantee protects you. Seat covers bought off the shelf that are universal do not come with that same guarantee. Seat covers from ShearComfort are guaranteed to fit the seats of the specific year, make, and model of vehicle you’re ordering for. That guarantee assumes you ordered correctly for your particular seat – so it is best to order right the first time. Need help determining your vehicle’s specifications? You can find out more information by reading “Get To Know Your Car”. This also means that you won’t be scratching your head wondering how to make car seat covers fit better when they probably won’t. Custom seat covers come with the peace of mind that you’re ordering a product that is going to fit the shape of your seat properly in order to protect it. As many reviews on our website indicate, custom is definitely better-fitting than generic seat covers. Rather than asking yourself, “do seat covers fit all cars?”, you might want to ask yourself, “what kind of seat cover is going to fit my car best?” If you buy cheap car seat covers, you’re likely going to get a cheap fit. Bottom line, custom seat covers are going to fit better and ensure your seats are fully protected. Are Universal Car Seat Covers High Quality? The actual wear is also a huge factor in the universal vs. custom debate. In many cases with the big box store seat covers, the overall quality isn’t always there. There is something to be said about the phrase “you get what you pay for”. When you go cheap, chances are the fabric is not of the highest quality. As Julian, a ShearComfort customer, indicates in his review, he “tried a variety of store bought seat covers none of which fit well and their materials were not good” and many others agree. More reviews like this at the bottom of this article. There’s a reason why lots of drivers finally end up with custom fit after tossing several universals out. ShearComfort’s custom-fit seat covers are made from automotive-grade materials. For instance, the Neo-Supreme fabric from ShearComfort is similar to Neoprene but is specially formulated with UV protection for auto use, so that you won’t end up with faded seat covers after only a few months. Of course, choosing a more durable custom fit fabric, like our CORDURA®, gives an even higher level of wear. Whichever material you go with, it’s nice to know that custom seat covers have a warranty for quality. With automotive grade material you know you’re buying quality that will last in your vehicle. The same cannot be said for cheap seat covers. Do All Seat Covers Fit All Car Safety Features? If you are lucky enough to have seats that universal car seat covers fit well, you should still check if you have Side Airbags in them. Not sure what side airbags are? In North America, many vehicles have them as standard equipment. Read the product info to make sure the cover is 100% compatible with your airbags. 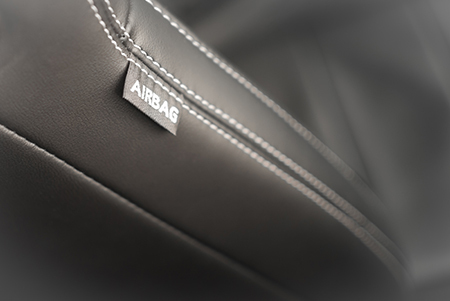 Many do not have the stitching alterations necessary to allow the airbag to safely deploy through the fabric covering it. Many universal fit seat covers do not allow for this. One of the main disadvantages of some of these products is that they are “not equipped with front side airbags and rear split function”. 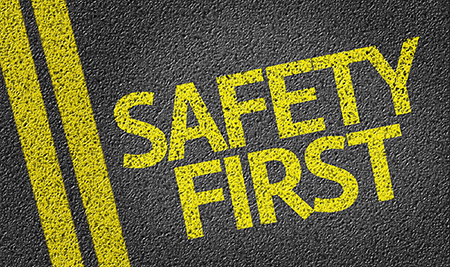 So if you’re ever involved in an accident, your vehicle’s crash safety features in your seats may not deploy properly. If ever shopping for universals, look for an explicit statement describing whether they are compatible or not. The main thing to take from this is that if you have Side Airbags, universals are probably not worth purchasing. What Are Others Saying About Custom Seat Covers? Review by Kelly G from Franklin, PA: “I just purchased a new Prius and want to keep it showroom new. I have used department store seat covers in the past. Never again! My new seat covers fit like a glove”. Kelly drives a 2012 Toyota Prius. Review by Luisa D from Bradford, ON, Canada: “The covers we purchased from ShearComfort were a little more expensive than we planned on spending compared to the $30 universal cover we bought at PetSmart (the cover is to protect the seat from our German Shepard). But upon installation we could tell right away that this cover was going to fit perfectly even from touching the material we knew this was some durable stuff” This is for a 2011 Volkswagen Golf. Timothy D from Lynden, WA describes his experience : “Very well constructed good fit…I thought they were expensive but after installing them I see why they are priced that way due to the quality of the materials…not the type of cover as seen in a big box store.” His vehicle is a 2013 Nissan Frontier. To read more reviews, check out our review section and see for yourself why our customers choose custom over universal. We started by bringing up the big question of whether seat covers are worth it. After reading through this guide, we hope to have answered that question in great detail. While we cannot say that all universal seat covers are worth it, there is great value when purchasing custom seat covers as they come with a fitment guarantee, are a high-quality product, and do not cause any safety concerns. So in that respect, the bottom line is custom seat covers are worth it.